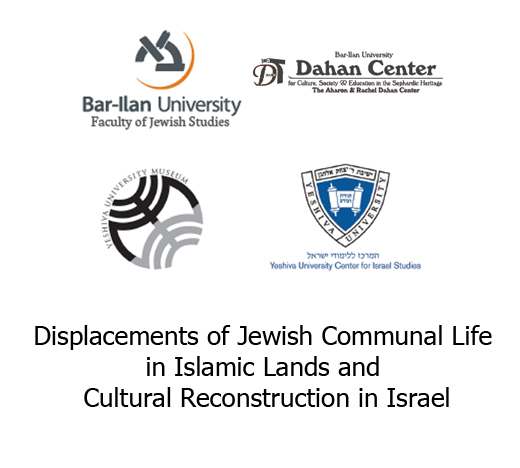 On Monday, Dec. 10, 2018, the Yeshiva University Center for Israel Studies, in collaboration with the Bar-Ilan University Faculty of Jewish Studies, the Dahan Center for Culture, Society & Education in the Sephardic Heritage and the Yeshiva University Museum, will host an international conference titled “Displacements of Jewish Communal Life in Islamic Lands and Cultural Reconstruction in Israel.” The conference will be held at the YU Museum at 15 West 16th Street, New York NY 10011. The conference is free but reservations are required through Brown Paper Tickets. At the conference, scholars from Israel, the United States and Canada will explore the history and culture of the Jews from Islamic lands and their displacement from and resettlement in Israel. Topics include Jewish communal life, rabbis and religious life, and cultural institutions and the responses of international institutions. There will also be a musical performance and free kosher food. For more information, contact Isaac Choua or Sarina Roffé.